Get design tips, learn about materials and protective finishes, and explore labeling options. 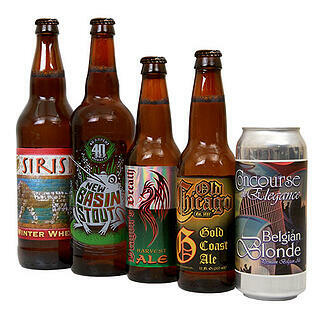 Is it time to update your craft beer labels? Download your copy of the newest e-Book from Weber and discover new ideas about how to best label your craft brew. This quick guide gives you some marketing insights about label design and examples of how to improve your brand. There are new label materials available that can make your labels more durable in the harsh, wet environments of the craft world. And for those who are just getting started, there are some basic details about how best to design your label and how to get it approved. As one of the largest label manufacturing companies in the USA, Weber can print your labels, 500 to 5 million, on a variety of materials in beautiful high-resolution color. We can help you match your style with the right media to make your brand stand out from the crowd. Weber can also help you apply those labels to your products with a wide range of label applicators for small start-ups to large mega facilities. If you already know you want a quote or information on a specific piece of labeling equipment, contact one of our beer labeling experts. Already have your artwork and just need a small run of labels fast? Check out Weber's Go-Label.com web site where we offer custom-printed digital craft beer labels in rolls of 500 for most sizes of bottles, cans, growlers and crowlers. Great prices and a 5-day turn-around!